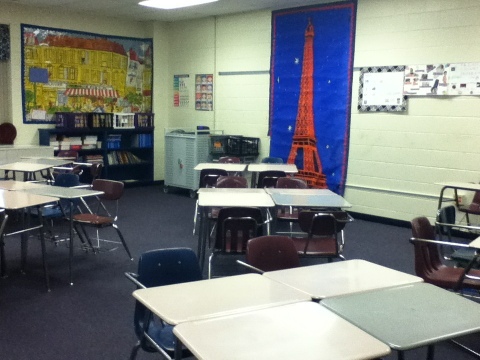 I rearranged my classroom into groups of desks. Before I made a seating chart, I got some input from the students. We then spent Monday, Tuesday and Wednesday slowly integrating the Chromebooks into our classroom. Another idea that I stole (and adapted) from Tami (my ITS), was the idea of a Google Race. I shared this document with my students and set them to work. You can adapt this idea for any content area! I was able to not only have my students practice with Google Docs but also the French concepts we’ve been learning. Sylvia Duckworth has created an updated version of this race. Check it out! I’ll be back soon with info about what it was like being absent for the first time in a 1:1 classroom. Lissa, I love these ideas! When my 7th graders go 1:1 next year, I’m using this. Make sure you don’t take it down between now and August, okay! ?